VoIP Services: A small business VoIP phone service provider with big features- Which are those? A small business VoIP phone service provider with big features- Which are those? Not every business has an edge with regard to popularity, name and more. But, there are some small business VoIP service providers you there with these incredible VoIP solutions. Yet, it's not been up-scaled yet. As a customer, all you need is ease in settling down with the system. 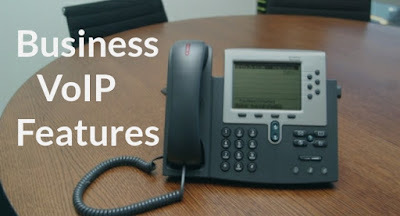 Here are a few features and must- criteria's which need to be focused down to while opting for you business VoIP provider. Quality of Service- QoS, as the name suggests shall allow routers to prioritize- choose specific kinds of data traffic, ensuring high-quality service. This simple setting is very dynamic or can act on it's own and can transform any old basic router into a wonderfully capable device! Also Read: The Profit Crisis- Is it Really A Crisis in VoIP? Dual bad wireless support- Be it 5 GHz or, 2.4 GHz, this dual band has the capability to transmit on 2 different frequencies. The traffic is very much separate, not cluttered even a bit. Yes, tri- band is the in- thing but, it's expensive. So, why not go for the dual band wireless support and make your office fit for all devices one just one router! VLAN Support- VLAN or Virtual Local Area Network is a group of devices connected with one or more LANs. VLAN can help businesses separate their devices as per their departments or networks. For instance, take HR- it'll have it's agents connected with one another via VLAN. Bottom line being, VoIP services are essential for businesses to expand- be it within the city or country or all across the globe- great inter connectivity are one of the reasons behind each MNCs success. For instance, you are calling from India, you wish to get in touch with the headquarter of your company which is in USA- It's only via business VoIP services that the communication will be success as, emails can be deceptive and verbal or video communication are way better than other kinds if, you can't get in touch with the people you been wanting to contact. The Profit Crisis- Is it Really A Crisis?